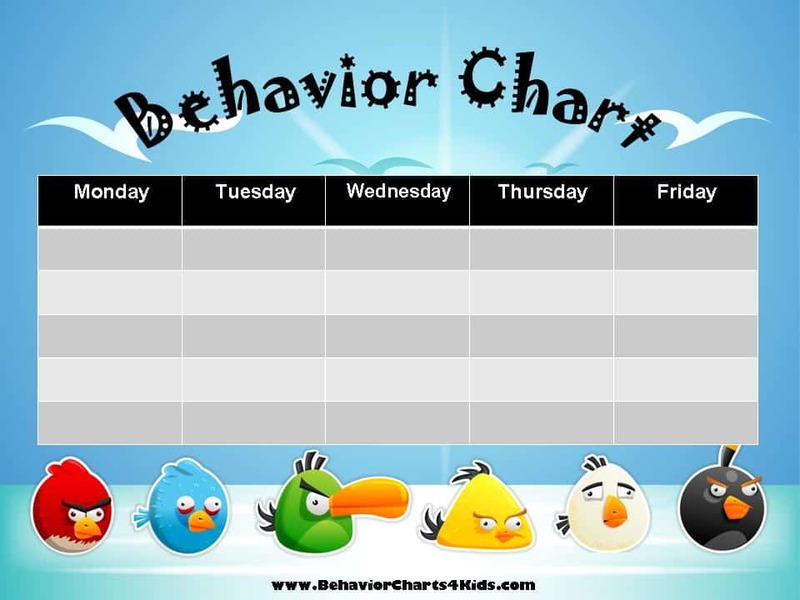 If your kids like the Angry Birds then they will love these Angry Birds behavior charts. You can print a weekly version or a 10 step version. 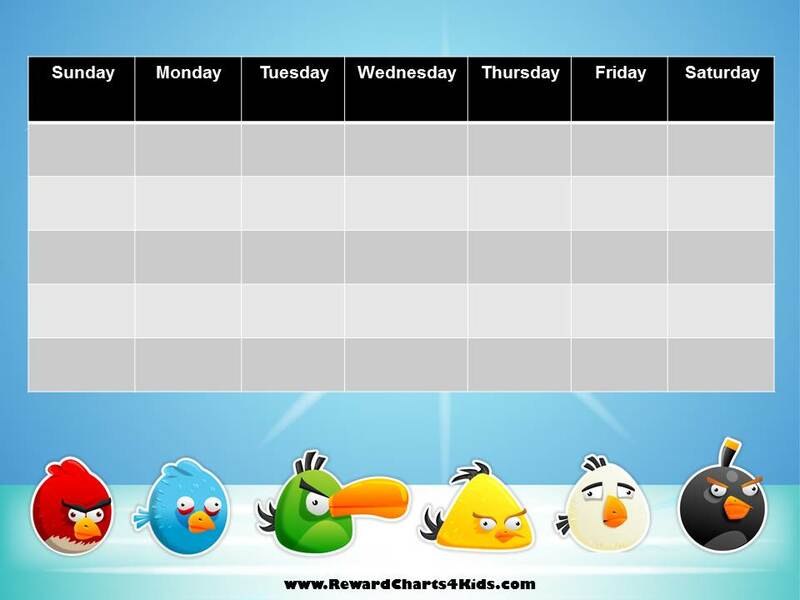 Description: Weekly Angry Birds behavior chart with a five day week (from Monday to Friday). Description: Weekly Angry Birds behavior chart with a seven day week (from Sunday to Saturday). 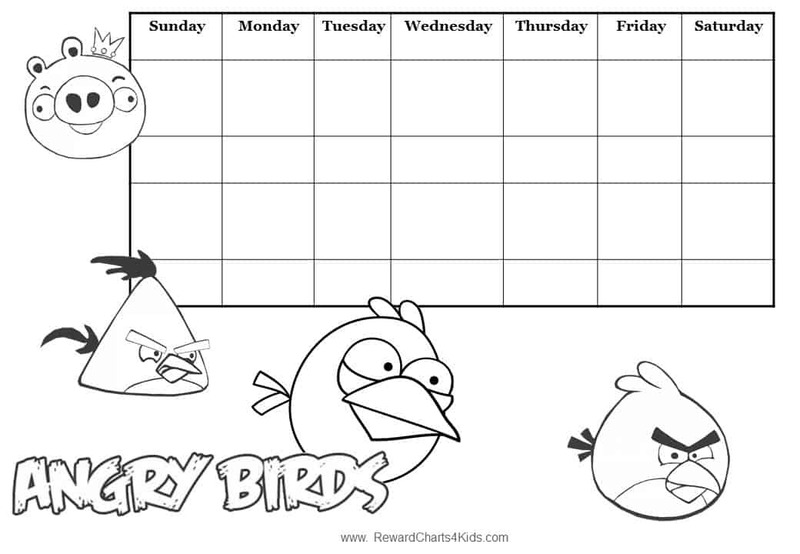 Description: Black and white weekly Angry Birds sticker chart with a seven day week (from Sunday to Saturday). The chart can be colored or used as is. Description: 10 step sticker chart. Mark each angry bird as you complete each step. What can these printable behavior charts be used for? Use a chart that your child likes. 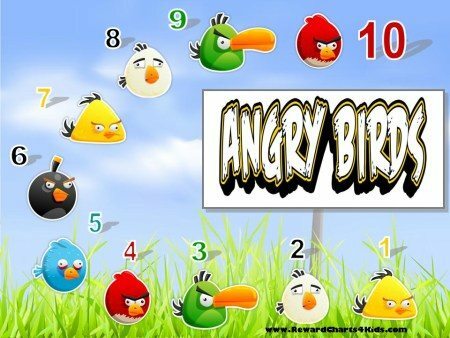 If she likes the Angry Birds then use one of the charts on this page. If there is another character that she prefers then look around on the site to find a chart that she likes. If she chooses her own chart she will feel like she “owns” the behavior plan and the chances of success are greater. If you are focusing on one specific issue then use the 10 step above. Mark the chart each time he reaches a goal or behaves in the desired manner. For example, each time two siblings get along or work together cooperatively they get a sticker. When they complete the chart they both get to go to sleep a little later. The weekly charts can be used to track multiple goals. You can list the goals that your child is working toward. I have an ADHD 4 year old son that I am really struggling with, this is my first step in an attempt to help him get more focussed and behave towards a reward. Good luck Janine! Hope it helps! Some of your charts are not PDF and are not able to download because they are images and not in PDF format.